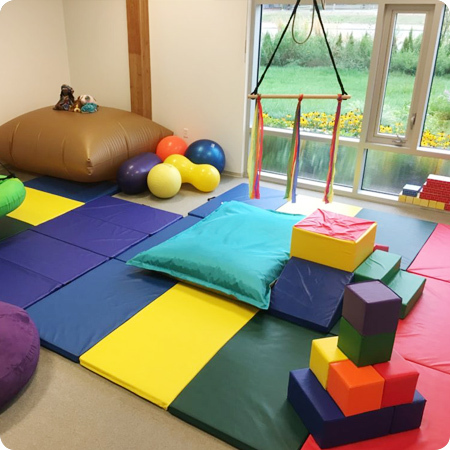 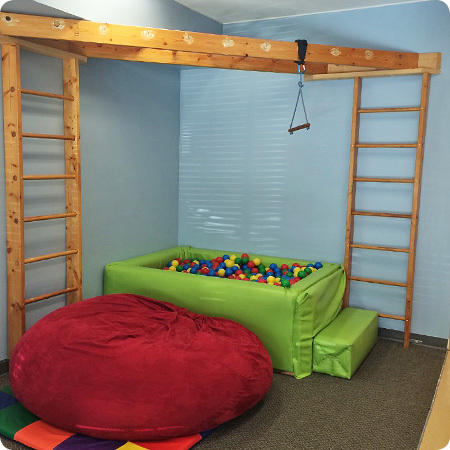 Sensory and gross motor gym areas: Spacious and well equipped, our gym spaces provide opportunities for your child to develop gross motor skills and participate in a range of sensory activities. 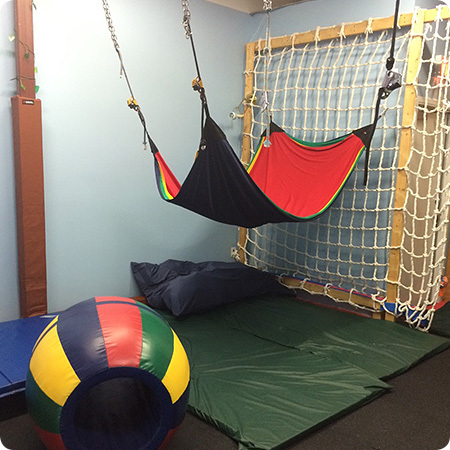 The gyms are equipped with a variety of swings, climbing equipment, a large ball pit and trampoline, as well as tactile play areas. 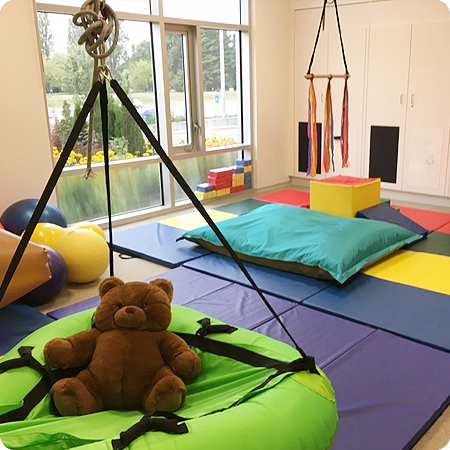 The gyms are designed to provide multi-sensory, safe and stimulating learning experiences for your child, and the open plan design provides natural opportunities for peer play and social interaction. 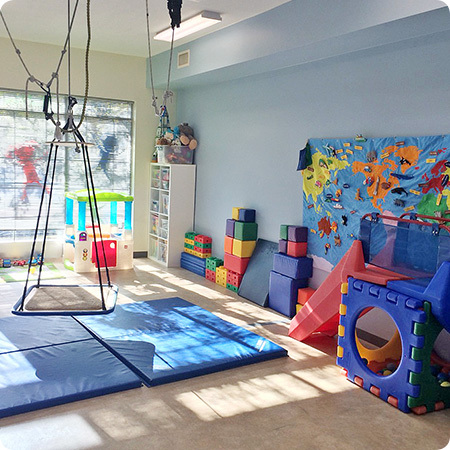 Break-away areas: A quiet, distraction free environment where your child can develop their fine motor, self-care, printing/writing, and visual perceptual skills.